The veterinary care for sports medicine related injuries evaluated at Conley and Koontz Equine Hospital are custom tailored to each individual horse regardless of discipline. 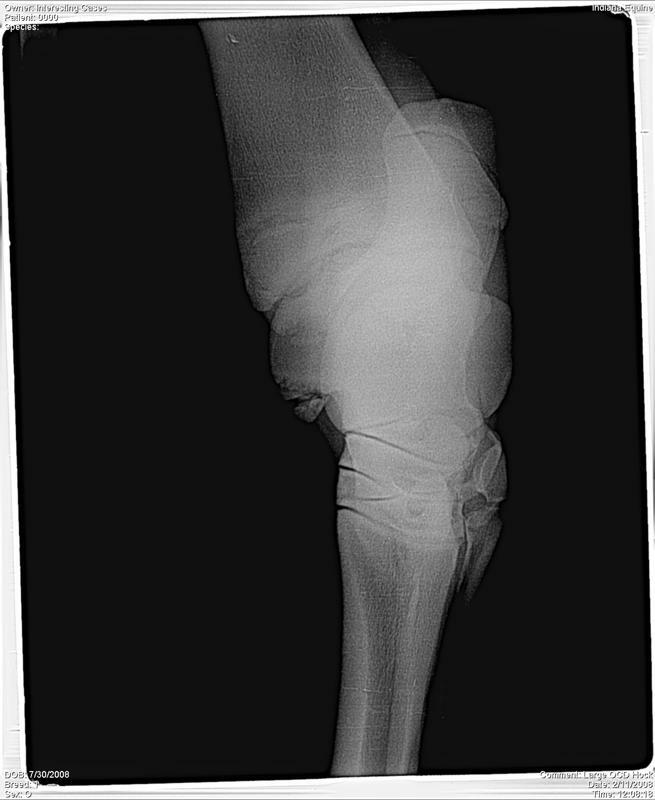 Lameness constitutes a high percentage of performance limiting problems in horses; therefore, comprehensive diagnostics, current therapies, and performance horse management are available to maximize client's expectations. Our ultimate goal for the equine athlete is to reduce injury, while optimizing performance using evidence-based sports medicine. We now have a therapy that can be used for all horses. If started earlier in the course of joint disease, Pro-Stride can also help repair the damaged joint. A novel therapy called Pro-Stride is now available for the treatment of osteoarthritis and degenerative joint disease in horses. Treatment with Interleukin-1 Receptor Antagonist Protein (IRAP) utilizes progressive therapy to combat osteoarthritis in your horse. Interleukin-1 (IL-1) is an inflammatory compound that is secreted by many types of cells. IL-1 is an important part of the inflammatory response but in the case of your horse's joints sometimes can be detrimental. The joint fluid carries a protein called interleukin-1, which plays an important role in inflammation and accelerates the deterioration of tissues like joint cartilage. Interleukin-1 Receptor Antagonist Protein (IRAP) plays an important role by blocking IL-1 from binding to tissues and inhibits the damaging consequences of IL-1. In addition, Pro-Stride has significantly elevated levels of other anti-inflammatory cytokines and anabolic growth factors. The procedure begins with drawing blood from the horse that will be treated with Pro-Stride into a syringe and centrifuged to separate the plasma (abundant with IRAP, anti-inflammatory cytokines, and growth factors) from the blood. Pro-Stride is another therapy to be added to the battery of weapons that the equine veterinarian has to combat osteoarthritis in your horse. The reason Pro-Stride is so exciting is its' potential for a long-term effect on battling osteoarthritis. Whereas some of the therapies currently used might only have short-term effect, Pro-Stride has the potential to stop the cartilage matrix from being degraded and increase healing. Pro-Stride has the ability to stop the inflammation cycle and bring comfort to your horse. Shockwave has routinely been used for the treatment of tendon and ligament injuries, muscle pain, angular limb deformities, delayed bone healing, and osteoarthritis. Shockwave often improves the quality of healing, the cosmetic outcome, and may return your horse to competition earlier. Shock wave therapy uses high intensity pressure waves to increase cell and capillary growth rates as well as give an analgesic effect. 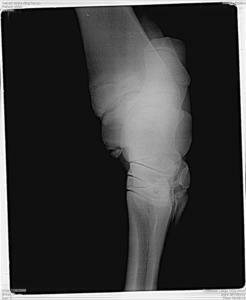 Recently the vets at Conley and Koontz Equine Hospital have used shockwave therapy for the treatment of angular limb deformities in foals with good success.